To celebrate the 45th Anniversary of the most loved water-based ball point pen, an exclusive edition of Ball Pentel was introduced. The Ball Pentel was first launched in 1972 and was awarded with the Good Design Award. Over the years, 1 billion pieces of Ball Pentel have been sold worldwide. So, what are you waiting for? Don’t you think this anniversary edition it’s to go for stationery?! 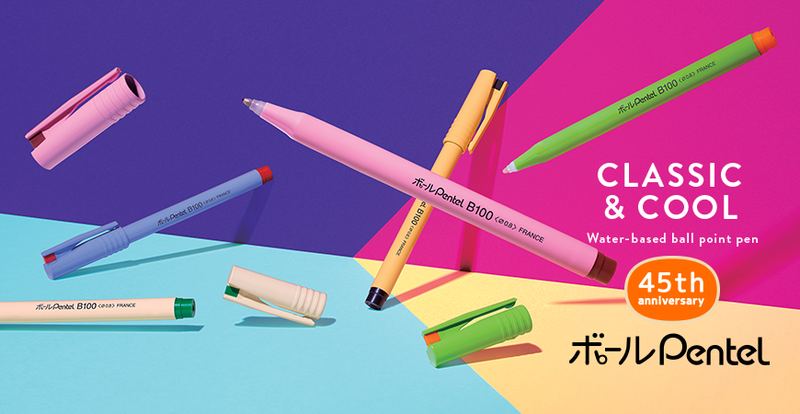 Get this special limited edition Ball Pentel @ Tokyu Hands now! P.S: If you miss them this time round, you might have to wait for another 45 years!